First and foremost IVA.net is different to any other IVA provider - We do not and will not ever charge upfront IVA fees. We believe it is completely unethical to take money from people who simply cannot afford it. Help us to take a stance against unscrupulous IVA providers by not allowing them to rip you off. 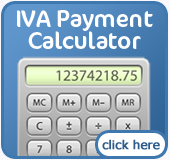 IVA.net is one of the leading Individual Voluntary Arrangement (IVA) resource and advice sites on the internet. We continually strive to bring you the best service and knowledge available in the UK IVA market. Over the years we have learned that you need to stand out from your competitors in order to be successful, that's why we provide unbiased support and information with a no-obligation attitude. IVA.net is owned and operated by one of the UK’s leading IVA providers, McCambridge Duffy (established in 1932). We have been providing IVAs for well over 10 years so you could say we have seen it all. We have a reputation for being the most ethical provider of IVAs in the UK. Unlike most IVA providers we do not charge upfront fees for setting up an IVA. We believe that anyone experiencing debt problems should not be put into further debt by unethical practices. Because of this we are also very fast at setting up an IVA. You can have your IVA agreed in as little as 4 weeks with us. Contact us in confidence, you have nothing to lose. When you contact us for advice you are simply asking us to review your circumstances and recommend a solution. 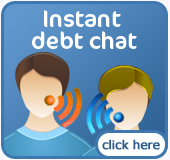 We speak to 1000s of people every month about their debts. We do not just recommend an IVA, we are debt advisors and not just IVA providers. If an IVA is not the best option for you then our team will be able to offer you alternative methods of getting your life back on track. Many IVA providers and websites claim to be experts but only rarely do they have true qualification or expertise to provide reliable advice about the Individual Voluntary Arrangement process. We are known for our innovative approach to helping our clients to get out of debt. There is no such thing as one size fits all when it comes to debt. An IVA is unique to you. No two IVAs will be the same. IVA.net has a track record of excellence and we hope we can help you.